The #MeToo movement underscores the power of collective mobilization. It also shows how suddenly the status quo can shift. Despite having studied sexual harassment in the United States and France for almost 30 years – and publishing a book and several articles on the topic – even I did not see this coming. Recently, I have been studying how people “come out” to resist stigma and mobilize for social change. As I show in a series of articles and a forthcoming book with Oxford University Press titled Come Out, Come Out, Whoever You Are: Identity Politics in the 21st Century, the concept of coming out—first developed by the gay rights movement in the 1970s—has expanded well beyond lesbians and gay men. The undocumented movement, fat rights movement, and Mormon fundamentalist polygamists—to name a few—all now use “coming out” politics to make real changes to laws, public opinion, interpersonal relationships and to claim their civil rights. Notably, the #MeToo movement embraces not just the politics of “coming out” as a victim of sexual harassment or assault, but also the “outing” of harassers, assaulters and rapists. “Outing”—another term coined and developed by the gay rights movement in the 1980s and 1990s—originally referred to the act of disclosing a politician or celebrity’s homosexuality, typically because they publicly opposed gay rights or promoted heteronormativity (i.e. the idea that everyone is heterosexual) by “passing” as straight. #MeToo has already led to significant change in the culture around sexual harassment and assault. Many of the men recently “outed” as sexual offenders have lost their jobs and, in some cases, faced criminal prosecution. Some have argued that employers and authors may now take women who claim to have been assaulted or harassed more seriously. The movement may bring real systemic changes to how employers and courts address sexual harassment. Exactly what will come of the #MeToo movement remains to be seen, but this movement—and the others of which it is both a product and a part—are a reminder that the social life of humans is fluid and deserving of true inquiry by social scientists. 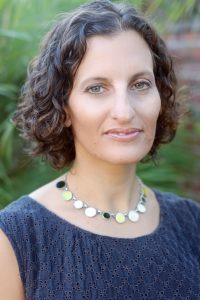 Abigail Saguy is a UCLA Professor of Sociology and Gender Studies and author of What is Sexual Harassment? From Capitol Hill to the Sorbonne (California, 2003), What’s Wrong with Fat (Oxford, 2013), Come Out, Come Out, Whoever You Are: Identity Politics in the 21st Century, over 30 scientific journal articles and several op-eds published in leading news outlets. You can see more of her work at www.abigailsaguy.com and https://soc.ucla.edu/faculty/abigail-saguy. Abigail C. Saguy, What Is Sexual Harassment? From Capitol Hill to the Sorbonne (Berkeley, CA: University of California Press., 2003); “Employment Discrimination or Sexual Violence? : Defining Sexual Harassment in American, and French Law,” Law & Society Review 34, no. 4 (2000); “Europeanization or National Specificity? Legal Approaches to Sexual Harassment in France, 2002-2012,” Law & Society Review 52, no. 1 (2018).